Wouldn’t it be great if you would wake up fresh and ready for action every morning? Sleep is vital to be in good shape. Yet few people pay attention to what they use to sleep. At Zizzz we do! We design duvets, baby sleeping bags and blankets with natural and sustainable materials. We create our products around three principles: breathability, comfort and sustainability. In the quest for the best thermal-regulation we discovered Swisswool. Wool helps to regulate body temperature, very important for comfortable sleep. We replaced the polyester filling baby sleeping bags normally have with Swisswool. The superior quality of wool for sleeping is scientifically proven. 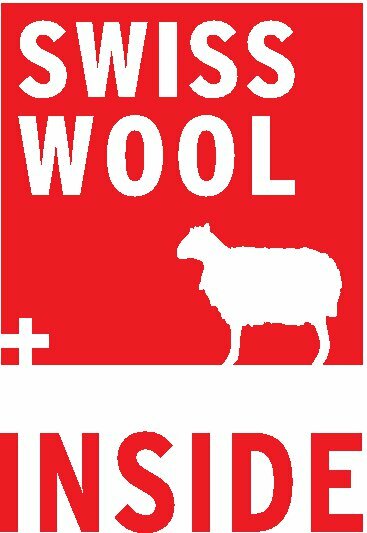 Our duvets with swisswool are made in Switzerland. What is the difference between wool, down and synthetics? Down and synthetics are primarily insulators they keep the body hot and don't release heat. During the night these insulators bring our body temperature up so we either fully wake up or toss and turn to cool off. Did you ever experience waking up and feeling sweaty? Wool is not just an insulator it also acts as a regulator of temperature. Wool naturally absorbs and releases moisture, to cool or heat up your body. You get warm quickly, but because of the fabric’s exceptional breathability you do not overheat. What are the advantages of a Zizzz duvet with Swisswool? Our Duvets with Swisswool are light and airy. They provide a very comfortable sleeping climate all year round. You can easily wash it at 30° in the wool program. The unique temperature regulating qualities of wool will help you to wake up fresh every morning. Wool is naturally hypoallergenic, highly breathable fibre and it doesn't attract dirt. Down and feather tend to attract dust and dirt as well as dust mites. Dust mites do not like wool because of the way wool breathes. The wool in the duvet stays drier than other fillings. The lower the humidity, the less comfortable the environment for dust mites. Can a duvet with Swisswool itchy? No, the Swisswool itself is not itchy. On top of that our Swisswool is covered very fine fair trade batist cotton. It has a very soft and smooth touch. Can I wash my Zizzz Swisswool duvet? Yes you can wash a Zizzz Swisswool duvet without problems in your washing machine. Do not forget to use the wool program and a wool detergent. The only thing you should not do is using a dryer. The wool does’t like that. Do you have different weights? All our duvets are filled with 290g/sqm Swisswool. This is average weight and for most people living in a house with central heating it will be ideal all year round except for that hot really summer night when you sleep without anything.